Dubai’s mall business is expanding rapidly as tourism to the city and population growth drives demand and spend in the retail sector. More than 717,000 square metres of new retail space will be created in Dubai by 2018, according to Dubai Chamber. Jones Lang LaSalle said around 250,000 square metres of gross leasable area (GLA) was added to the city’s retail offering last year, marking the highest expansion rate since 2010. This brought total GLA to 3.4 million square metres at the end of 2016. Two of the UAE’s biggest mall developers, Nakheel and Emaar, are growing their portfolios and reporting strong growth. Nakheel recently awarded a construction contract to build Deira Mall, which will be Dubai’s biggest shopping, dining and entertainment destination in terms of retail space when completed in 2020. The AED6.1 billion (US$1.7 billion) mall will boast 372,000 square metres of leasable retail space. Meanwhile, Emaar Malls, the operator of the world’s biggest mall, The Dubai Mall, reported profit of AED539 million ($147 million) during the first quarter of 2017, up 2 percent year on year. The company, which also operates Dubai Marina Mall, Souk Al Bahar, Gold & Diamond Park and several community shopping centres, said 34 million shoppers visited its malls during the first quarter, up 10 percent on Q1, 2016. 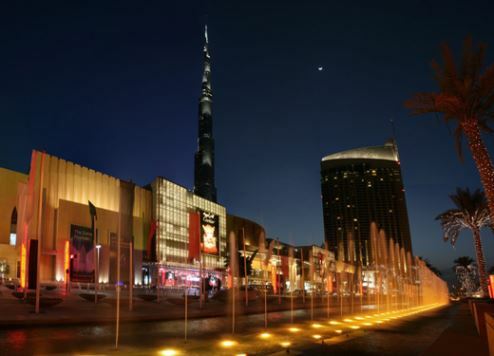 Occupancy levels across Emaar Malls’ assets averaged 96 percent during the first three months of the year. The robust performance of Dubai’s retail sector is supported by the emirate’s burgeoning tourism industry, which reported an 11 percent year-on-year surge in overnight visitors to 4.57 million. Heading this growth was China and India, two markets known for their love of shopping when travelling overseas. From January to March 2017, China delivered 230,000 overnight visitors, up 64 percent compared to the same period in 2016, while India, which is Dubai’s single largest tourism source market, became the first market to record nearly 580,000 visitors in any one quarter, with a massive 23 percent growth in arrivals between January and March.